Senior software developer who co-owns a digital creative agency and creates and distributes open source software. If you're a hardware hero or a soldering soldier, you may be looking for new ways to put your electronics knowledge to better use. Sure, DIY arcade games can be fun and raspberry Pi-driven Christmas spectacles can make the season merry and bright, but there comes a time for a lot of open source enthusiasts to get serious. And, what could be more serious than home security? Before entrusting your home's safety to a single-board computer, there are a few things to consider. By building your own security system from scratch, you'll know every intimate detail of how it works...both the strengths and the weaknesses. Additionally, you won't have to worry about letting strangers into your home to set everything up. That said, you need to be extra cautious with these types of endeavors. A mistake in your home security system can be a lot more costly than a bug in a more whimsical project. This project -- designed by Jorge Rancé to monitor Pato the bird from afar -- teaches you how to build a sophisticated surveillance system for your home. 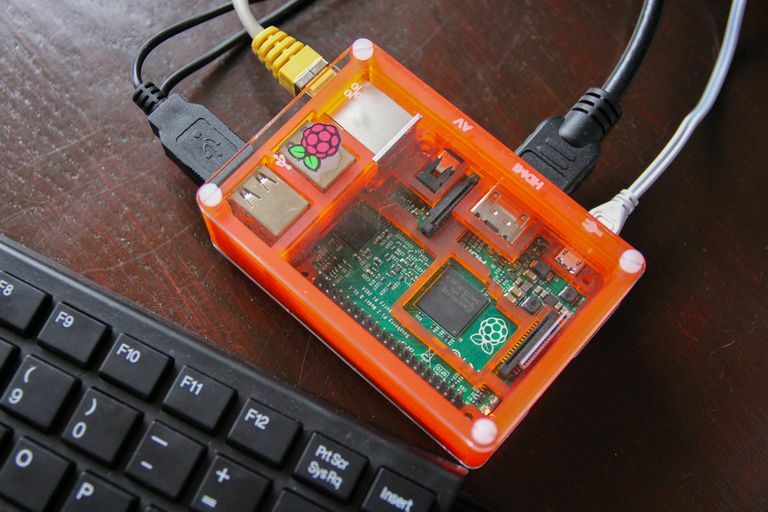 Detailed in The MagPi, Issue 16, the Pato Surveillance System includes instructions for connecting a Raspberry Pi to a webcam, thermometer and PiFace board for Internet-accessible monitoring of your home's environment. And whether you plan on using this system to keep track of your whole house or just your bird's cage, there's a lot of useful information here that can be used as the foundation for much more complex systems. If you're comfortable with things like NPN transistors, variable resistors, and shift registers and you don't want to just monitor your home, you want to alarm it, then this is the project for you. While definitely not for inexperienced hardware hackers, Gilberto Garcia's instructions for building the HomeAlarmPlus Pi are well-documented, thorough and easy-to-follow. Complete with a parts list, photos and a code repository with documentation, this project shows you how to create a multi-zone alarm system for your home. The HomeAlarmPlus Pi instructions are available on Garcia's blog, and the code repository is accessible on the project's GitHub page. Are you the kind of person who says, "Secure my home? I want to completely automate it!" If so, then it's time you meet LinuxMCE. On its website, this well-established open source project calls itself the "'digital glue' between your media and all of your electrical appliances." Lighting and media? Check! Climate control and telecom? Check! Home security? Check! Unlike the Pato Surveillance system and HomeAlarmPlus Pi, LinuxMCE isn't just a single project; it's a complete system for automating and securing your entire home. You're only limited by your imagination, skill set, and effort. There's a lot of information online about this project, but the best place to get started is on the LinuxMCE wiki. From there, you'll not only get an overview of what's possible, but you'll also be able to access the latest source code, detailed instructions, and the community portal. What Are Some School Project Ideas for Computer Networking and IT?